Driving into mid-May, the Grand Circuit (GC) stakes and the associated Hambletonian Trail races are dancing through the programs of harness raceways and hopes for all are high in the first month. It’s that time of the year when we spin-off blogs to include the Hambletonian Trail, featuring eligibles to this year’s August trotting classics at The Meadowlands. For this weekend’s events, go to the “Trail” blog and peruse the analysis of Pennsylvania Sires Stakes for filly trotters at Harrah’s Philadelphia and a John Simpson stake for the colts at The Meadowlands. On this page we will cover other GC stakes and other features. The GC “Reynolds” at the Meadowlands on May 9 sends out soph-filly pacers and the AJ Cutler prep on May 10 puts together some familiar foes in the older trotting ranks. At Woodbine on Saturday, three-year-olds from both sexes are challenged in the $59,800 Diplomat Series Final (colts) and the $59,200 Princess Series Final (fillies). The H2W list for TwinSpires players marches on with probable profits from overnights across North America. Prime plays are our suggested contenders, productive across-the-board wagers and serve as profitable members of exotics. The Meadowlands hosts a Reynolds mile worth $48,415 for Grand Circuit soph-filly pacers on Friday. The obvious Rockingcam Park will attract fans, since she won a Simpson starting the season. That attraction will cost Blixtra more support than just having trainer Ake Svanstedt driving. This is good for us because Blixtra deserves a shot as a contender. She is coming into the season still a maiden but has punched well against some heavy company last year at Mohawk. This is the time of year to catch prices on horses on the improve and Blixtra may be one, having consistently strong finishes at two and prepping with a very good qualifier. The groups assembling for the pair of A.J. Cutler Memorial eliminations ($40,000 each) is a tried-and-true display of this gargantuan division. These older male trotters are the stuff that the sport is built upon and this year’s older cast represents its strength and stamina. That being said, these four- and five-year-olds are settling into the division and some debut after rugged sophomore seasons. The first elim in post order is Sebastian K, Sweet Justice, DW’s NY Yank, Intimidate, Archangel, Modern Family, Americash Express and Upfront Billy. Sebastian K is an eight-year-old making his North American debut with trainer-driver Ake Svanstedt, who also sends Blixtro in the Reynolds. Sebastian K was Sweden’s Horse of the Year in 2012. Then there’s Intimidate, who won the 2012 Breeders Crown for soph-colt trotters during a late-season surge. As well, Archangel, a former Trail colt, is back after spending 2013 in the stallion shed. And there are Modern Family and Sweet Justice, among three trotters sharing this season’s fastest mile to date, 1:51.1. Trotting in the shadows will be one of Ron Burke’s successful stallions, DW’s NY Yank. He will race uncoupled with Archangel, also from the Burke barn, and he has been on fire at Yonkers. With the right tempo, he could make a wire job out of this as the others tune up for better miles later. The second elim in post order is Sevruga, Market Share, Daylon Magician, Possessed Fashion, Quick Deal, Undercover Strike, and Arch Madness. Market Share, Hambo-winning veteran, now five, makes his 2014 debut for trainer Linda Toscano after prepping for the “Cutler” with two sharp qualifiers on this track, winning one in 1:52.4. Sevruga is here; he is the defending Cutler champion, while Arch Madness returns to battle after a brief retirement. All in all, this field is so full of speed it could be a tiring stretch for the popular names, leaving Undercover Strike a chance to prove he is of this ilk. The six-year-old may be handed a perfect chance to use a late surge and pull off an upset at a terrific price. A Free-For-All mile worth $50,000 gathers some older pacers we know well, including Foiled Again, who is coupled with Sweet Lou and Bettor’s Edge for the Burke crew, all coming from their journey through the “Levy” series at Yonkers. More familiar elders adorn the starting gate, including Golden Receiver, no stranger to fast miles in New Jersey, Warrawee Needy, the over-rated speedster from one super race last year, Bolt The Duer, a fan favorite that rarely wins on his own, and Modern Legend, who made all of his bones as an elder pacer. From post seven, however, think about supporting Dovuto Hanover. 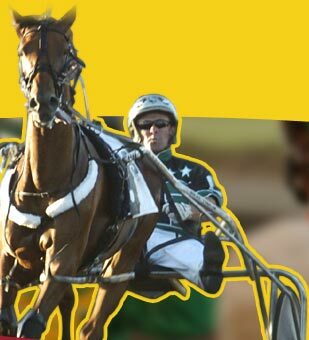 His performances have been strong and he can strategically win this if the speedsters begin to shuffle, which is so common and probable at The Meadowlands. A price is guaranteed this time around, since he steps up a bit in the presence of these stalwarts. Woodbine’s May 10 program features soph-colts and soph-fillies completing their early season series. In the Diplomat for boys, National Debt returns to avenge his loss to 30-1 shot Somewhere In LA in last week’s second leg. It will be hard to bet against him in the final, even from post 7, though “Somewhere” may continue improving upon talent we backed when he was two. All in all, these two should be first and second in some order, since the rest of the field is very soft. The Princess also presents a beaten favorite with Rock N Roll Xample. However, the final offers an upset other than last week’s Bahama Blue. Artful Impulse took the outside route hard last week and still put enough distance between herself and the rest of the field, finishing third gaining ground. She may even be better than 14-1 here and less than that would also be acceptable.